UPDATE as of February 15, 2018, 4:00PM – Registration is now CLOSED for Feb. 17, AP101 as we’ve met the number of seats allowed at the venue. See you confirmed participants! Registration Fee: A.) Php2,200 if joining by yourself, B.) Php2,000 per person if joining with buddy or group (Php4,000 for 2 participants). C.) Php2,500 for walk-ins, only if we have remaining seats (you can check by calling 0925-7314856 a day before the event). 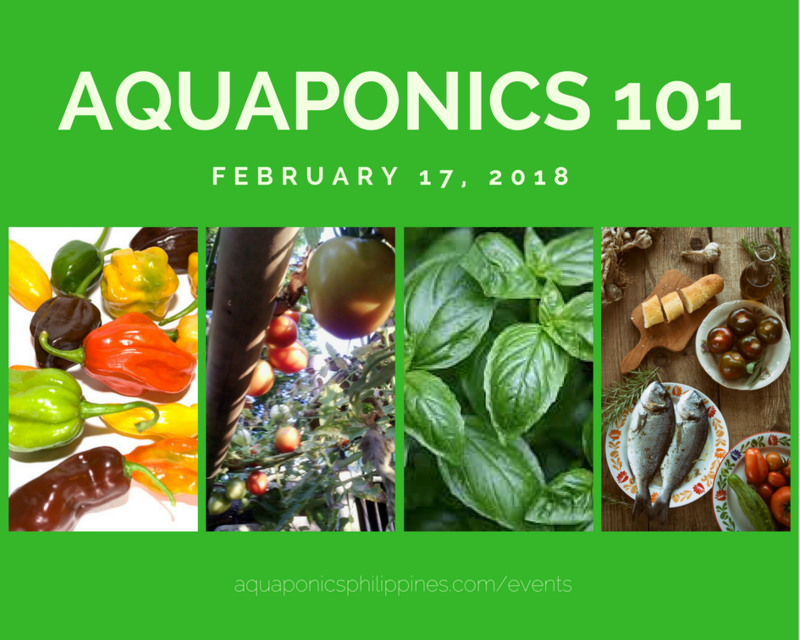 Fee is inclusive of lunch and supplemental printed manual, D-I-Y guides and other aquaponics references. How to reserve a seat: Please reserve a seat by sending us an email at team.apphil@gmail.com or Viber message via +639257314856. Please note that seats are limited and walk-in is not recommended as seats are reserved to confirmed participants who settled fee in advance. The event will push thru rain or shine..
Seat reservation policy: Reservation is done thru advance payment to our BDO account. Once reserved, seat will already be allocated to you. In case you cannot attend, please send a representative to take your place, otherwise payment will be forfeited. We will send the bank account details to those who contacted us via email team.apphil@gmail.com or Text/Viber +639257314856. Hoping for your understanding.